We had so much fun getting to know Brittany + Michael better at their recent engagement session. They wanted to do their session at their home, which we loved! It was such an intimate setting for them, and we think it helped them to be really comfortable during their session, too! Our Master Photographer Amy did such a great job with these images, we’re really loving the classic vibe that she captured. 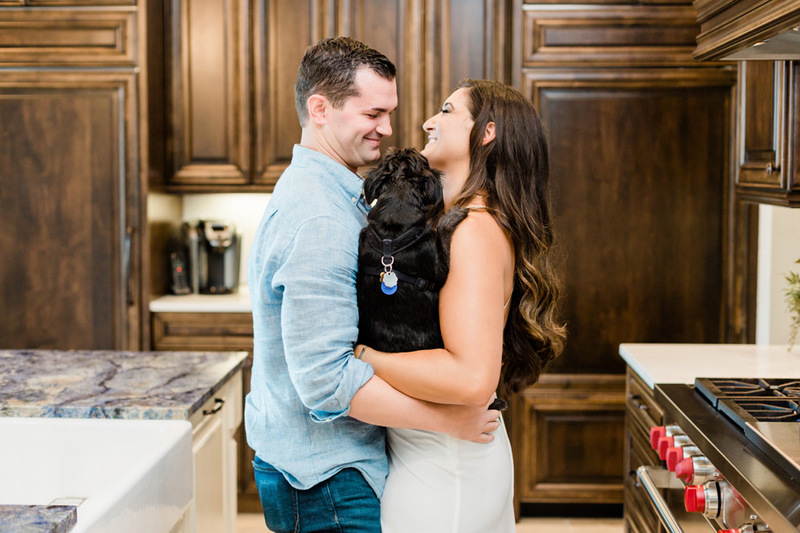 Brittany + Michael are planning to get married early next year at the Vinoy, and we can’t wait! 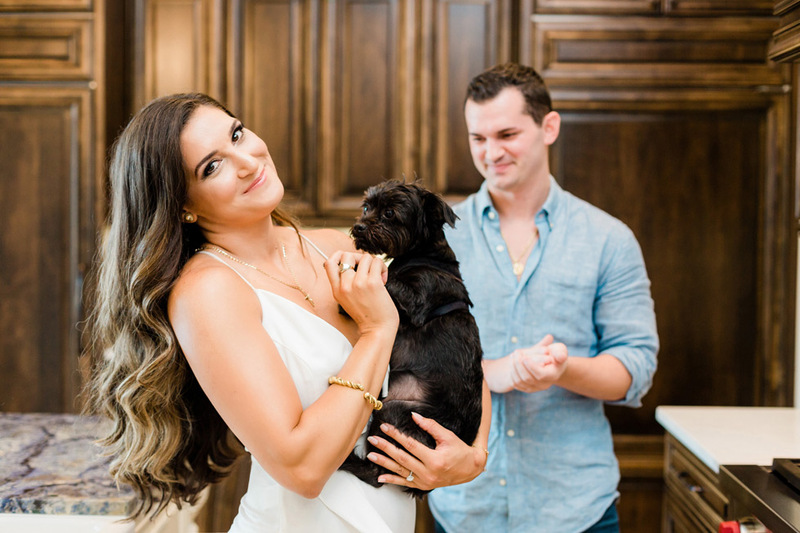 One of the great perks of doing engagement photos at home is that we got to meet Brittany + Michael’s sweet pup! We love these sweet photos of Brittany + Michael making coffee together. 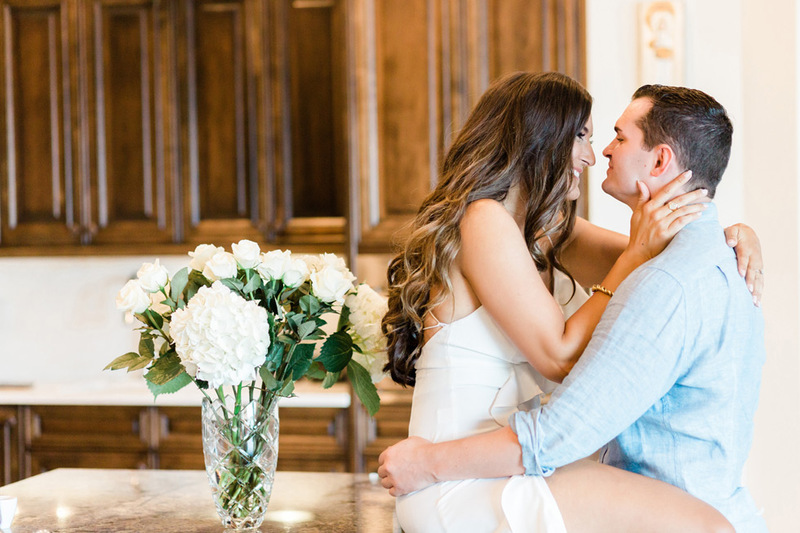 Love is so often in the little things in life, and we love how this engagement session highlights those moments! We love these romantic images of Brittany + Michael in front of their gorgeous home. This picture is so beautiful, it belongs in a magazine. We are loving all the classic, elegant romance coming from Brittany + Michael! Congratulations on your engagement, Brittany + Michael! We’re looking forward to celebrating with you both again soon!